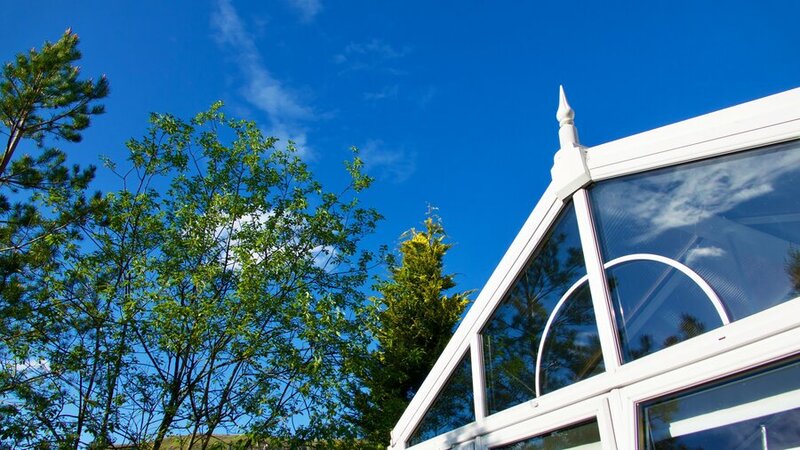 The Gable conservatory design provides unrivalled aesthetics with its beautiful, stately appeal. What Is A Gable Conservatory? This conservatory style is in a league of its own. With a stunning and unrivalled vertical roof design, UPVC Gable conservatories boast an impressive structure. 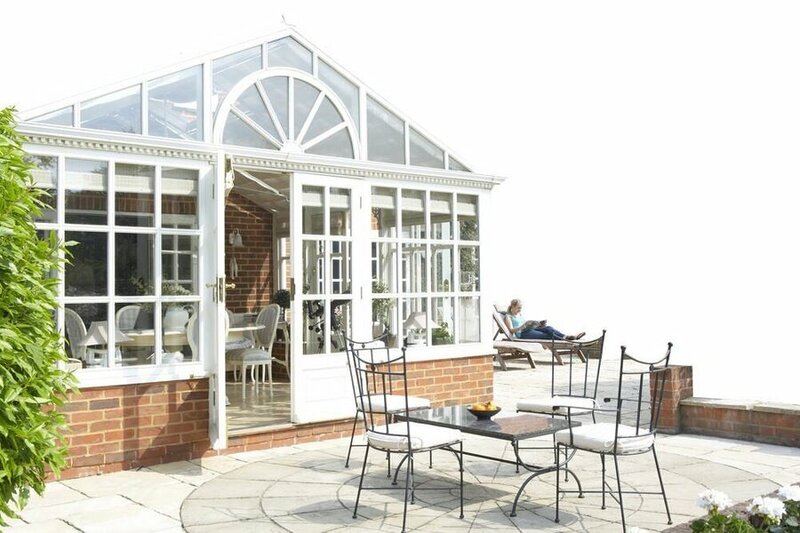 Influenced by the Georgian style, the Gable Conservatory design is grand in appearance, and will add a touch of class to any type of property. Particularly well suited to period properties, the Gable conservatory will enhance a home’s traditional features. There are many different options to consider when choosing a Gable style – what roof material is more suitable for your home? Do you require building work? What colour would best complement your property and are modern conservatories better than traditional ones? Gable conservatories designs allow you to personalise your extension, with simpler designs available for those that prefer subtler styles. The Gable End roof departs from the designs characterised by the Victorian, and Edwardian conservatory. It features a stylish, high vaulted roof which meets in the middle – similar to a roof of a typical house. Its pitched roof elevation sees windows extending to the apex, creating a striking projection. This well recognised pitched roof style makes the Gable conservatory a universal choice for properties both new and old. If you have been researching Gable roof designs, you may now feel that the classic look is best. But you don’t have to settle for a traditional style – as there are plenty of other conservatory roof options to choose from that might be better. The polycarbonate conservatory roof is the cheapest option available. That’s because it’s less effective at insulation and soundproofing than a tiled or solid conservatory roof. Most homeowners that bought polycarbonate conservatory roofs in the past are now upgrading to more energy efficient styles – thanks to a change in building regulations in October 2008 that recognised conservatories as permissible developments. Your Gable conservatory roof should, at the very least, be made out of glass. As discussed earlier, glass conservatory roofs let in lots of light – and this will make your interior space seem much bigger. Contrary to popular belief, they won’t make your extension feel like a tinderbox when the sun is at its zenith either – thermal glass roofs use gas (normally Argon) that’ll keep your Gable conservatory warm without the need to use a heater constantly. 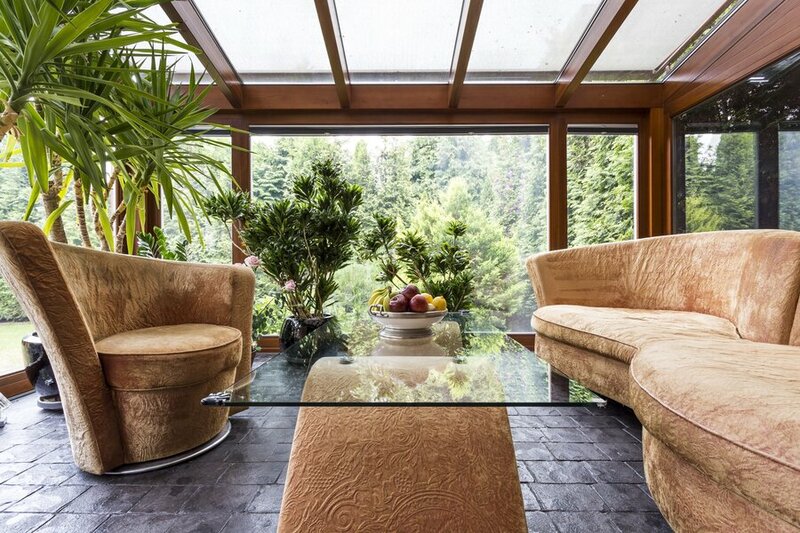 Glass conservatory roofs can make your interior space very bright. To offset this effect, you can buy tinted glass – or perhaps investigate conservatory roof blinds (although these can be prohibitively expensive, so it’s best to shop around. Although this is the most expensive conservatory roof option, it is the absolute best from an energy efficiency point of view. Solid conservatory roofs are designed using rigid insulation boarding and plywood that is highly effective at retaining heat. It will also help your gable conservatory to feel warm and cosy during the evening and throughout those chillier autumn and winter months. The disadvantages? If you want to keep your Gable conservatory prices low, a solid roof might not be the best option. Another negative is that it will block out a lot of light – which might not be the best idea if you have limited room within which to site your Gable conservatory and are trying to maintain an illusion of space. Conservatories UK-wide look and perform better with the right roof. So take time with your research and ask your installer for help where needed. What is the cost to replace a Gable roof? The average cost of a replacement conservatory roof will be in the region of £2400 to £5800. The price will vary depending on the materials you use and the company you select to do the work. How long does it take to replace a conservatory roof? Installing a Gable roof could take as little as two working days – but this timeline could be extended if your conservatory is unusually large or there are unexpected problems. Can I just replace my Gable conservatory roof? Get the foundations of your Gable conservatory checked. This is to ensure that it can bear the weight of the new roof. Your installer will have to drill small holes, so that they can excavate and check whether it’s safe to add your Gable conservatory roof. If they feel that it’s unsafe to proceed – perhaps your structure passes over, or is too close to drains/tree roots – you’ll be referred back to your Local Planning Authority for further guidance. Check whether your Gable conservatory is exempt. Building regulations may have changed since your extension was built. By replacing the roof, you may find that you have an insufficient amount of double glazing. Planning permission to build your Gable conservatory roof may be declined on this basis – so you’ll need to ask your chosen conservatory installation company for guidance (and look at the government’s online planning portal for more information) before any work can begin. If you are currently investigating different Gable conservatory designs, contact us for a quote and we’ll get in contact directly to discuss your requirements further. We have a national network of accredited installers that can help you – so just let us know if you’d like their help when we call. Popular conservatory doors include the patio door, French door and bi-folding door. These door designs come in both UPVC, timber and aluminium so no matter your conservatory material, you can find a door to match. The conservatory doors you choose will need to tie-in with the stylistic decisions you’ve settled on for the rest of your extension. For example, bi-folding doors open right back to inches of opening, ultimately providing you with an open wall. These doors are perfect for bringing the inside in. Here are a few conservatory door ideas for you to think about when finalising your decision. If you have decided to eschew the idea of a contemporary Gable conservatory, then French patio doors would lend your design a more classic feel. Opening outwards – and available in a range of different materials and colour-schemes – French patio doors are also thermally efficient and great at keeping your home secure. Your Gable conservatory design could be fronted by standard UPVC French patio doors, which could be painted to mimic the appearance of wood grain. Although UPVC is an extremely robust material, you may have already decided that you want to use wooden window frames – in which case you could ask your installer to fit timber framed doors. If modern conservatories are more your things, then a Gable conservatory design that utilised aluminium French patio doors would work very well. Aluminium can be formed in to thinner lines, resulting in a door that is more transparent and lets in more light, whilst giving you a much better view of your garden at the same time. Whether you are fan of UPVC Gable conservatories or not, bi-folding doors should be on your wishlist if you want to accomplish a minimalist contemporary look for your brand new extension. Bi-folding doors open from the centre and stack in neat concertina-shaped segments at the side of your Gable conservatory – which will give you a great view of your garden and let in lots of light (again, this is ideal if you have limited space and have been researching small conservatory ideas). Bi-folding conservatory doors would work well with a Gable conservatory that utilises floor-to-ceiling glass at the front. You could offset this by using a mixture of dark and bright colours with your furnishings – a darker wooden floor would work well when contrasted with lighter-coloured chairs and tables. Once you’ve decided to proceed with your Gable conservatory, it’s time to start collecting quotes and selecting a reputable conservatory installation company to do the work. This can all seem a bit overwhelming at first – so let’s look at the steps involved: from finding an installer through to understanding how to build a conservatory. At Conservatory Online Prices, we have a wide network of trusted local conservatory companies. All of our national installers are accredited with an ombudsman or regulatory body of some description – but not necessarily the ones we are about to describe. The Double Glazing and Conservatory Ombudsman scheme (DGCOS) is a free service that allows homeowners to use a mediation service in the event that something goes wrong with the building work on their property (for example: the installation was wrongly completed or the company walked away from the job). Having spent lots of money on Gable conservatory costs, it’s only right that you should have access to free help and advice to resolve the situation. Once you’ve checked that your conservatory installer is accredited, insured – and that its products are backed by manufacturer guarantees – you should check their online ratings by looking at websites like Checkatrade and Google Reviews. If you are happy at this stage, you can call the company for more information about Gable conservatory prices. Now that you’ve found a trusted conservatory installer, it’s time to discuss your ideas and see whether they will work in actuality. Your Gable conservatory is unlikely to be rejected – as planning permission rules were relaxed in October 2008, with Local Planning Authorities finally recognising them as permissible developments. What Are The Planning Permission Rules for Conservatories? Your Gable conservatory design cannot take up any more than half the land surrounding your ‘original property.’ Unfortunately, you will need to include any outbuildings – such as sheds and greenhouses – when making your measurements. The top of your Gable conservatory roof cannot be any taller than the highest part of your property’s roof – else planning permission will be rejected. Your conservatory design should not include plans to build beyond the front elevation and should not face-onto a highway. Elevations such as balconies or verandas are not allowed – so do not include them in your Gable conservatory ideas. The conservatory you build should be a rear-extension, single storey in height and not any wider than half the width of your house. The above conservatory planning permission guidelines are summaries of legislation that can be found on the government’s online planning portal. You should always consult their website before making any decisions concerning your Gable conservatory – and seek advice from your approved installer too. Ready for Your Gable Conservatory Quote? Now that you’ve finished reading our Gable conservatory guidelines, you may feel that it’s time to start gathering some prices and get talking to local installers with the expertise to get your project off the ground. Visit our conservatory quote tool now and answer a few quick questions about the type of Gable conservatory you’re looking for. We will then get a member of our team to call you to discuss your requirements – they can even put you in touch with trusted conservatory suppliers if you’re interested. You can get as many Gable conservatory quotes as you like when you use Conservatory Online Prices – so why wait? What conservatory furniture is best? There are lots of conservatory furniture choices available that’ll suit your tastes and budget. Rattan is very popular – perhaps because of its durability. It is sold in a variety of different shades and you can use it to furnish your conservatory from between £250 to £750. Wicker looks similar to Rattan, but it starts to fray after a while, which means it will look tatty and need replacing. You can buy conservatory patio furniture if you prefer; it is just as – if not more – robust as Rattan too, as it is designed to withstand harsh weather conditions. You can use conventional home furniture – but be warned: wood and fabric fade in the sun, so you’ll need to protect your tables and chairs from the heat (either by keeping them away from the windows or using covers). Conservatories can get extremely warm – especially if you have all the windows and doors closed at night and your underfloor heating is keeping your feet all warm and toasty. Trickle vents are slender apertures that are drilled in to the top of your conservatory windows. 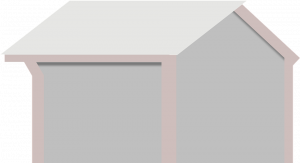 A slider is placed over the top that can be moved back and forth to let in more or less ventilation. All new conservatory windows must have trickle vents in order to comply with 2017 building regulations – but you could also explore roof vents, which can be used to expel unwanted heat back in to the stratosphere. Can I use underfloor heating for my conservatory? The beautiful thing about conservatory underfloor heating is that it warms your interior space evenly. The downside is that it is quite expensive. When exploring underfloor heating costs, you’ll be presented with two options: (i) electric, which is easy to install and repair; (ii) water, which is harder to install and very difficult to repair – as it can be hard to access the pipes that are hidden beneath your conservatory floor. If you have a large conservatory, underfloor heating might be a wise choice – but if you have a small extension, you may be able to suffice with wall-mounted radiators. A DIY conservatory can shave as much as 65% off the cost of your new build. Why isn’t everyone doing it? Because you need a certain level of skill to build your own conservatory and will have to deal with the building and planning regulations side of things yourself. If something goes wrong with the installation, you’ll need to correct it at your own cost and in your own time. The quality of the pre-fabricated materials supplied will vary from supplier to supplier too – so you would need to research their proposals very carefully before parting with any money. A fitted conservatory would save you time and stress – plus you’d be working with a company that was fully insured for the work if something went wrong.